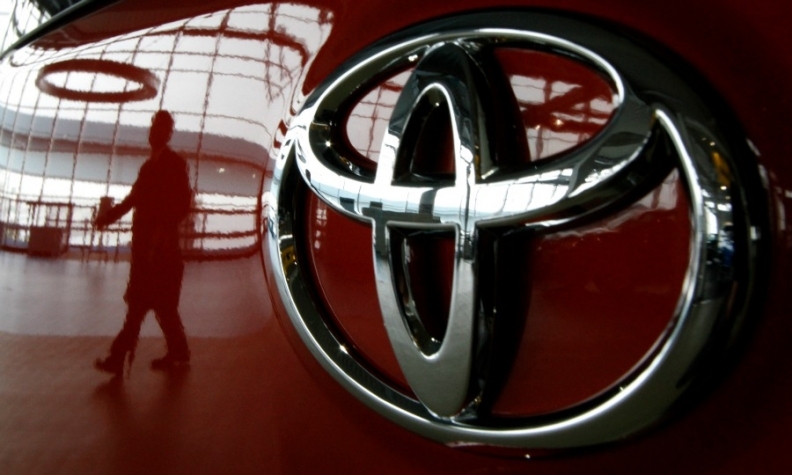 TOKYO (Reuters) -- Toyota Motor Corp. set the price for its "Model AA" class shares at the top of its range, as retail investors flocked to the $4 billion issue the world's biggest automaker hopes will secure its longer-term shareholders. Toyota set the issue price at 10,598 yen ($85.8) each, above the 8,153 yen close of its regular stock in Tokyo today and at the top of the 26-30 percent premium band it had flagged earlier for the class shares. Nomura Securities is the sole underwriter of the issue, which comprises 47.1 million shares and which would raise 499.2 billion yen for Toyota. The stocks work more like convertible bonds and carry a dividend of 0.5 percent in the first year, at least 10 times the yield of a time deposit or government bond in Japan. This higher payout, which gradually rises to 2.5 percent after five years, has attracted unprecedented interest from domestic retail investors. "I've been looking for a high-return product to invest my retirement money," said Hidetoshi Tanaka, a 78-year-old retiree who was queuing along with scores of other potential investors in Nomura's office in Toyota City to buy the stocks. "I'm not that interested in Toyota's (common) shares, but I figured this is better than a time deposit." The Model AA shares -- named after Toyota's first passenger car -- are unlisted but carry voting rights. Investors must hold the stock for five years, after which they can convert them to common shares or sell them back to Toyota at the issue price. Foreign funds have criticized the shares because they are only readily available in Japan, but Toyota argues the issue gives investors more options in a country where most of the $14 trillion in financial assets held by individuals are in cash deposits. At Nomura, people with knowledge of the matter told Reuters that applications for the shares were about 10 times more than the amount on offer. The interest in the issue has also boosted the number of new accounts opened at the investment bank by 80 percent. Toyota eventually aims to sell up to 150 million Model AA shares, or up to 5 percent of its shares outstanding.